Dr. Frith was born in Bubuque, Iowa and obtained his Bachelor of Science degree at the University of Iowa in 1979. The same year, he married his wife Julie (a dental hygienist), and has two children. He practiced in Iowa for two years before moving to St. Louis in 1981. As a general dentist, Dr. Frith has pursued a lifetime of continued education by immersing himself in courses in all areas of dentistry, especially in, TMJ disorders, dental sleep medicine, orthodontics, implants and cosmetic dentistry. Upon developing a passion to help those suffering from TMJ/Craniofacial pain and Sleep Disorders, Dr. Frith decided to established the TMJ & Sleep Therapy Centre of St. Louis, following the protocol established by the founder, Dr. Steven Olmos of San Diego. Dr. Frith and his highly trained staff are dedicated to providing the highest quality of customized care to his patients in a friendly environment. Dr. Frith enjoys doing charity work and activities that ‘give back’ to society. He and his wife Julie have gone on numerous dental mission trips to various countries such as Kosovo, Belize and Guatemala to honor god by helping improve the health of people unable to receive normal dental care. These mission experiences have also changed his life, as he realizes the many blessings dentistry has brought to his life. 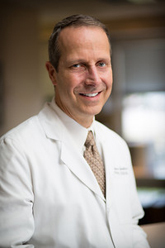 Dr. Frith enjoys vacationing with his wife and children, as well as snow skiing and motorcycle riding.